Our little yoga oasis on the island of Gods as Balinese lovingly refer to their home, is a place we have been coming back to for years. It has something extremely special about it, something that needs to be experienced to be comprehended. It is easy to feel truly blessed and cared for in this simple and beautiful place. 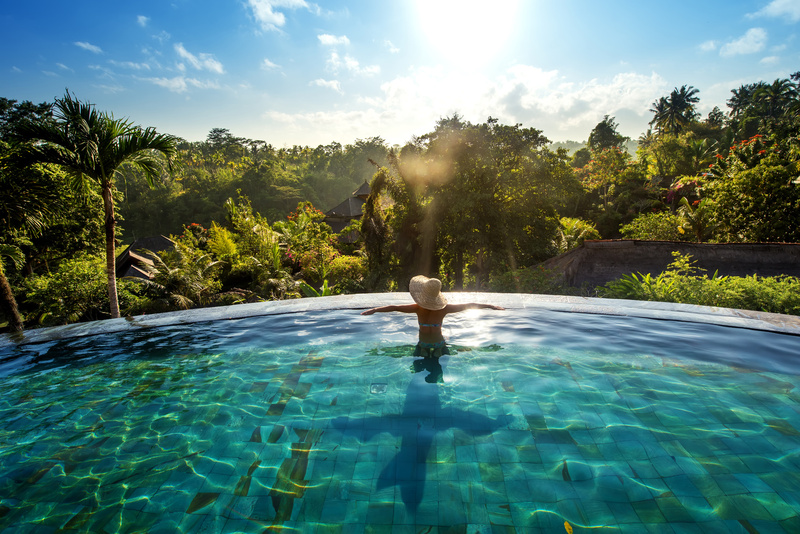 Let yourself rest and immerse into the sweet essence and healing energy of the island, nourish yourself with sun ripened fruits, delicious spa treatments, the ocean and the mountains, as you deepen your yoga and meditation practice while staying in the best yoga retreat location in Bali that we know of. 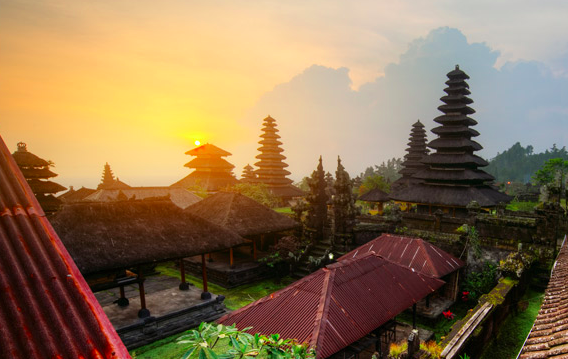 Bali an island in Indonesia, an exceptional place on Earth that is full of prana, vitality, abundant with sun soaked fresh fruits and rich in spiritual tradition. You will be amazed how many shades of green exist on the island. 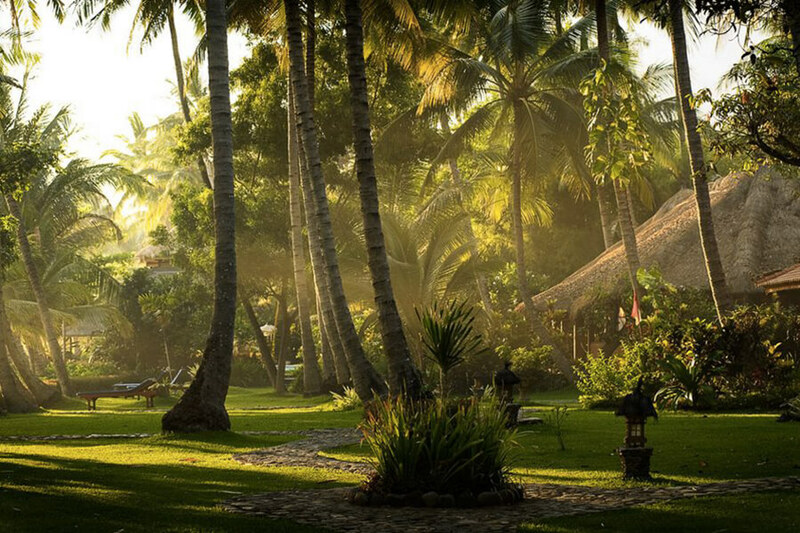 In this yoga retreat we will be staying in a beautiful retreat centre on a mountain overlooking the ocean, surrounded by a huge organic garden which provides most of the ingredients for our meals and for a little spa at the centre. 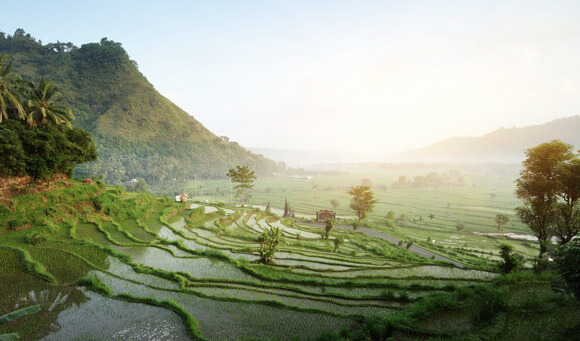 Bali yoga retreat is an invitation to deepen your understanding of yoga and meditation, whether you are new to yoga or an experienced practitioner. 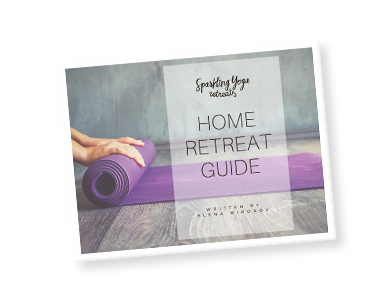 Yoga retreat is a holiday that nourishes you on many different levels - physical, mental and emotional, recharging you and helping to attune to the vibration of radiant health. Daily yoga and meditation classes during the retreat create a great foundation for consistent and joyful practice and help you feel more open, strong and balanced. myofascial release sessions and yoga nidra deep relaxation. 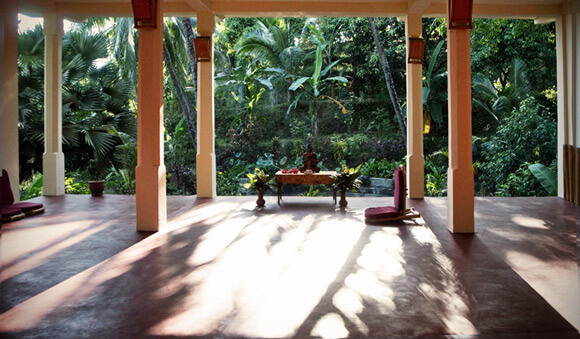 This vinyasa retreat is suitable for all levels of practitioners from beginner to experienced, however it is essential that in the months leading up to the retreat, you have a regular yoga (asana) and meditation practice at least 2x per week to be able to follow the classes and get the most out of this vinyasa yoga retreat. On one of the days, we only have the morning practice and the rest of the day is for rest and relaxation. Every day you have a chance to book a treatment from the spa menu of the spa that is located at the centre. 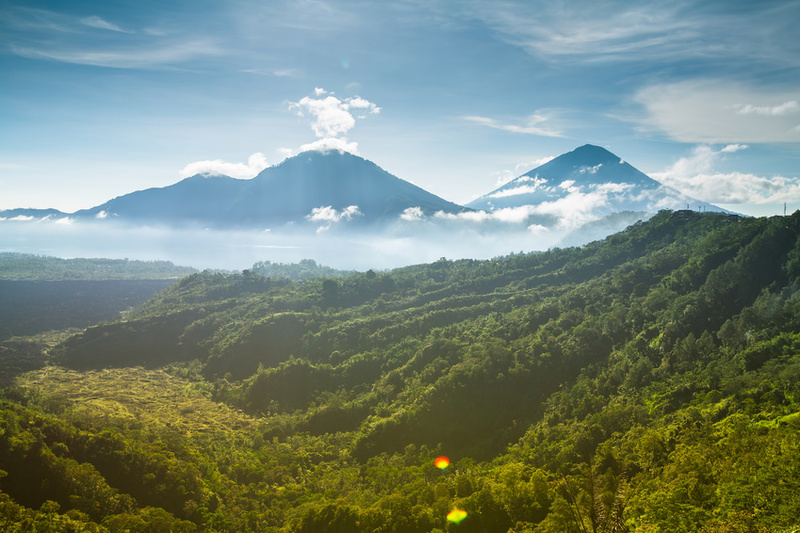 The treatments are inspired by the local environment and living traditions of Bali. Using touch, healing herbs and plants gathered from the organic garden, the body therapists will be there for you to help release stress and enjoy the retreat even more. Freshly squeezed juices and freshly blended smoothies available daily. Every afternoon you will be spoilt with a healthy desert. 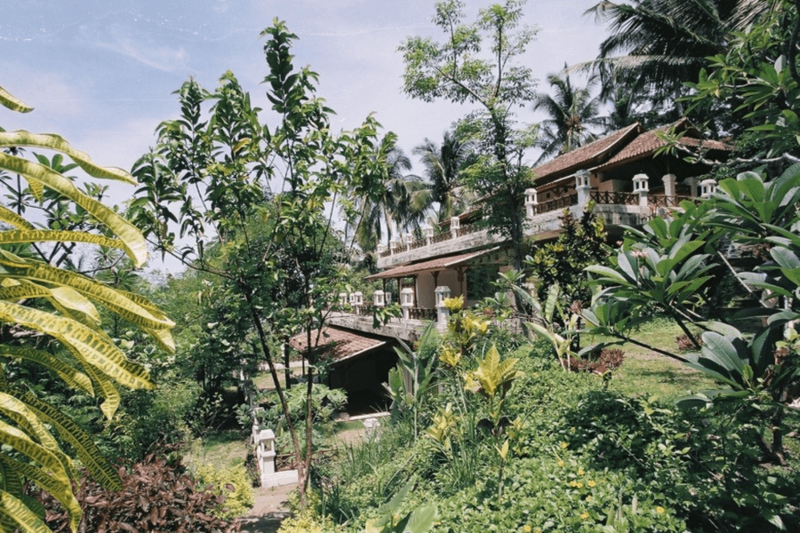 The guests are accommodated in beautiful rooms in the guesthouse and 6 Balinese style bungalows that are located throughout the mountain retreat. 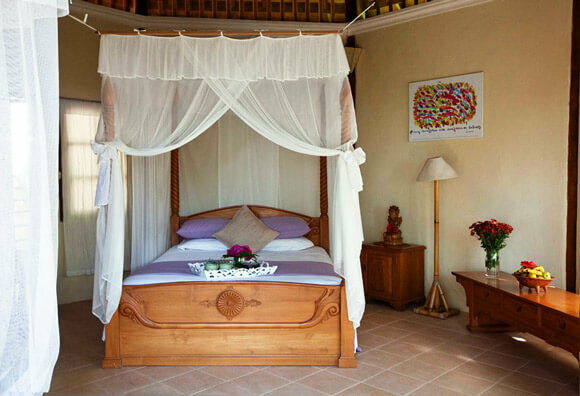 The rooms and the bungalows are lovingly furnished and surrounded by blossoming gardens. Guests can spend many hours on our dining terrace reading, relaxing or having their meals. The terrace has an open view over the valley and the ocean and is shaded by fruit trees and bamboo. At the terrace, guests can freely help themselves to mineral water, green and herbal teas throughout the day. Friendly staff are available should you wish to order fresh pressed fruit- and vegetable juices, lassies, and healing herbal drinks. Salt water pool is built on a mountain terrace, with beautiful uninterrupted views across the orchards to where the distant ocean meets the sky. Play or just relax on the wide stone terrace. There are many walking trails starting from our retreat centre that range from gentle strolls to more strenuous full-day treks. Explore the jungle, hike along the ridge dropping down to the river, discover the traditional villages, temples, orchards and jungle gorges. Our yoga room is overlooking the jungle and you'll be enjoying gentle rays of sun on your skin in the morning classes and birdsong and crickets as a lovely background sound for evening sessions. The water at the centre is untreated, and comes from a natural spring. The swimming pool is a saltwater pool. The organic gardens produce delicious vegetables and a variety of fruits. Guests are responsible for organizing their own transport to Bali. It’s recommended to book the flights to Denpasar airport Ngurah Rai (DPS) - the centre is about 2.5-3 hours drive from the airport. Transfers can be organised beforehand and the retreat centre will assist you in that. You will receive all the information and contact details when you register. During the day, the temperatures are pleasant, usually between 20-33°C year round. November and December are mango seasons. It's one month before the typical start of monsoon and the weather is usually pleasant and warm. Click here to check out our Frequent Questions section or get in touch through the contact form! I enjoyed vinyasa yoga which was new for me, meeting so many nice people, taking time for me, the food! Elena provided great explanations, the vibe, great at interacting with the students - she took into consideration how we felt for choosing classes etc. The participants were just very sweet!! I hope that I will maintain this spirit at home 🙂 Thanks so much for everything!! I have tried lots of new yoga. It was nice with the variation. The good thing about the teacher was Elena’s great knowledge, the possibility to teach different kinds of yoga and with awareness of how we are feeling. Fantastic and very kind staff. I am so happy to have had this experience. I enjoyed this amazing week with my friend AND a great variety of yoga, activities and meals; Elena’s calm, presence, ability to “scan” the group for moods & adapt the practice accordingly. I enjoyed every bit of the ride! I enjoyed Elena’s yoga, the hike to the waterfalls, the food, the staff, the group. A very good combination of different yoga sessions, Elena sensed the groups’ needs. Such a nice “package”. Everything combined made a lovely retreat!